A quick and acutely intelligent read. 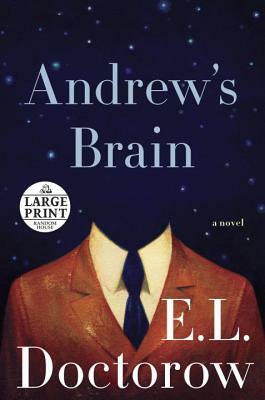 "Entertainment Weekly"
E. L. Doctorow s works of fiction include "Welcome to Hard Times, The Book of Daniel, Ragtime, Loon Lake, World s Fair, Billy Bathgate, The Waterworks, City of God, The March, Homer & Langley, "and "Andrew s Brain. "Among his honors are the National Book Award, three National Book Critics Circle awards, two PEN/Faulkner awards, and the presidentially conferred National Humanities Medal. In 2009 he was shortlisted for the Man Booker International Prize, honoring a writer s lifetime achievement in fiction, and in 2012 he won the PEN/ Saul Bellow Award for Achievement in American Fiction, given to an author whose scale of achievement over a sustained career places him in the highest rank of American literature. In 2013 the American Academy of Arts and Letters awarded him the Gold Medal for Fiction. In 2014 he was honored with the Library of Congress Prize for American Fiction. "From the Hardcover edition.""